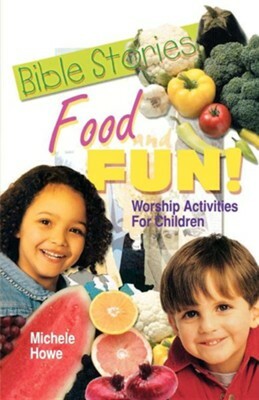 Now you can make Bible learning for children more fun...by including snacks and activities that relate to the Bible lesson. 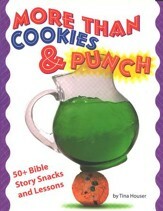 Twenty Bible lessons...and each one includes: A Bible lesson, key verse, key thought, a snack and an activity. "Michele's ideas add a new dimension to familiar Sunday school lessons, equipping teachers to make them more memorable and exciting. Her kid-loved foods, simple instructions and inexpensive materials make the projects much more attractive. Beyond the classroom, families too may find the activities especially fun for devotional times or rainy days." Now you can make Bible learning for children more fun ... by including snacks and activities that relate to the Bible lesson. "As Christian parents, we don't just want our children to read the Bible, we want them to want to read the Bible Michele Howe's key thoughts, snack time activities, and "kid level" devotional ideas do just that. If you're looking for a fun, substantive way to get your little ones to love the scriptures, I highly recommend her book." 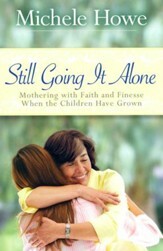 "This book will certainly be a help to those who refuse to bore children with God's wonderful word." After graduating from the University of Toledo with a degree in Marketing and Sales, Michele Howe worked for several years in public relations. As a freelance writer she has published over 200 articles of non-fiction, fiction, curriculum, and devotional material in publications such as "Christian Parenting Today," "Parentlife," "Discipleship Journal," "Single Parent Family," "Christian Single," and "The Lookout." I'm the author/artist and I want to review Bible Stories, Food And Fun.